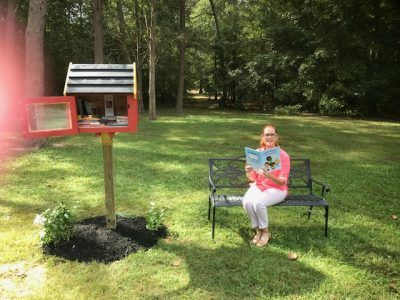 Bridgeton, New Jersey, October, 2017 — The 1000 Books Foundation in partnership with LOWE’S, the Southern New Jersey Early Intervention Collaborative, and Cumberland County Council for Young Children are proud to unveil six (6) free children’s lending libraries in Cumberland County, New Jersey. 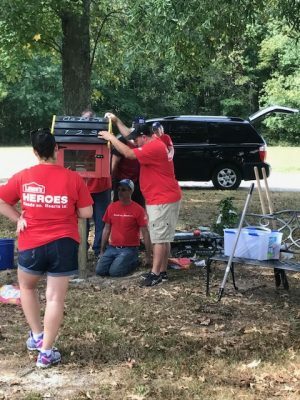 “LOWE’S Heroes of Cumberland County has created six (6) absolutely free lending libraries that we hope will benefit not only the children of Cumberland County, New Jersey, but anyone with a love of reading. 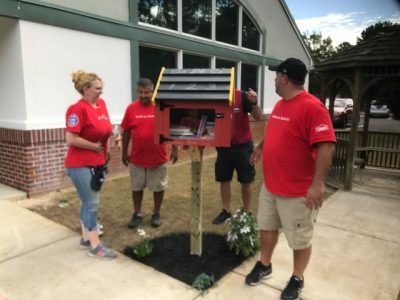 Please stop in any of the six (6) new locations to take a book, lend a book, and/or read a book,” said Mrs. Jerrice Moore of the 1000 Books Foundation. 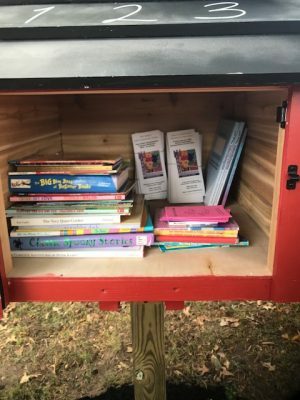 Inside the free little lending libraries are donated Children’s books, NJ Early Intervention trifold milestone brochures and information on the benefits of early childhood literacy. 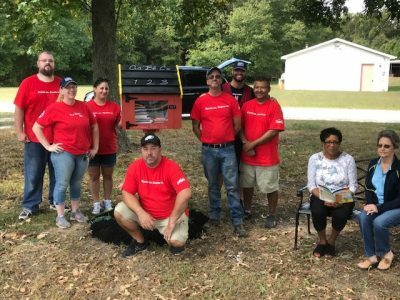 LOWE’S constructed 3 indoor benches and 3 outdoor benches which were complemented with mulch and flowers. 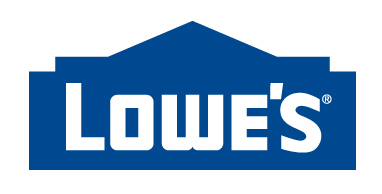 LOWE’S volunteers included; Rob Fenske, Hugo Aimone, Michelle Simpkins, Art Marvitz, James Morris, Jesus Vega Ramos, Jason Morrell, Erin Phillips worked together on construction, design and delivery. 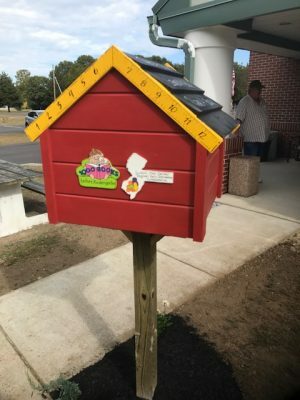 The 1000 Books Foundation through its flagship 1000 Books Before Kindergarten program also donated books and activity journals for each location. 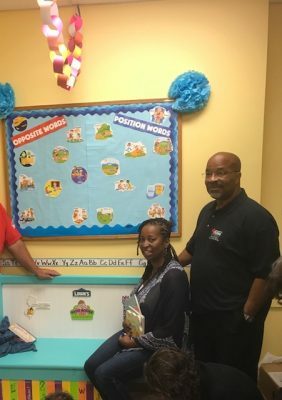 Mayor Kelly of Bridgeton attended the opening ceremony for the WIC office location. 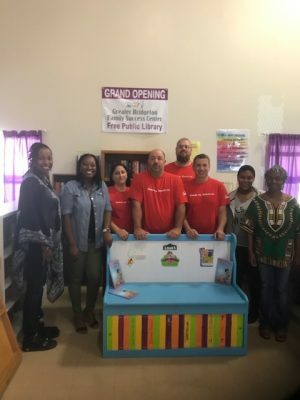 The 1000 Books Foundation is a 501(c)(3), Nevada public charity, which was founded in 2013 to promote reading to newborns, infants, and toddlers and seeks to encourage parent-child bonding through reading. 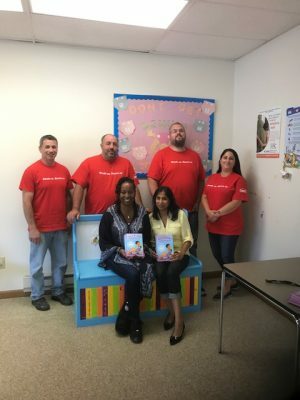 The 1000 Books Foundation helps to facilitate the implementation of 1000 Books Before Kindergarten (www.1000BooksBeforeKindergarten.org) reading programs nationwide and in Canada. 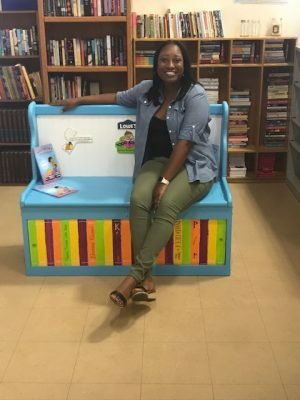 For more information about the 1000 Books Before Kindergarten program, please visit and www.1000BooksBeforeKindergarten.org.